I love road trips. In a perfect world, I would always have the time, means, and energy to just ride a bicycle everywhere, even destinations hundreds of miles away. 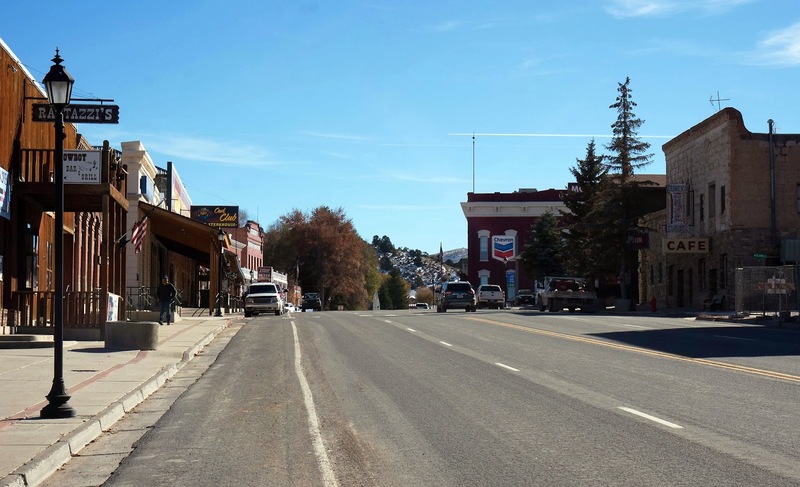 But there's also something special about getting behind the wheel of a vehicle and piloting it across states, absorbing large swaths of scenery and chunks of local culture along the way. 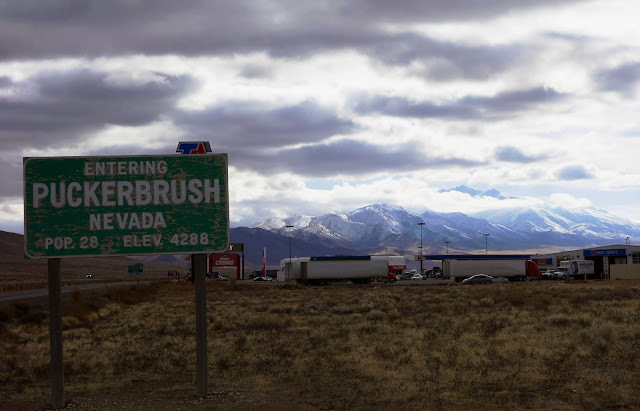 I've driven all over the North American West during the past ten years, and one of my favorite crossings is Northern Nevada. This segment of Interstate 80 is often described as the most monotonous, least engaging highway in the United States, with nothing but wide-open desert plains and distant barren mountains as far as the eye can see. I disagree with this assessment wholly, but then again these are my kind of landscapes — sweeping and mysterious, with adventurous intrigue lingering on the distant horizons. Still, the twelve-plus hours it takes to drive 800 miles between Los Altos and Salt Lake City is a lot of time to spend in a car by myself. To avoid the boredom sleepies, I keep myself engaged by stopping to take short walks and shoot some photos. This is my photo essay from the California-to-Utah commute. 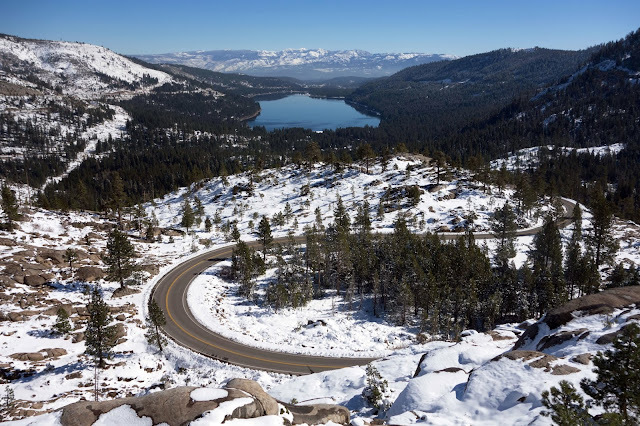 The view from Donner Pass during the eastbound drive on Oct. 30, looking toward Donner Lake and Truckee, California. 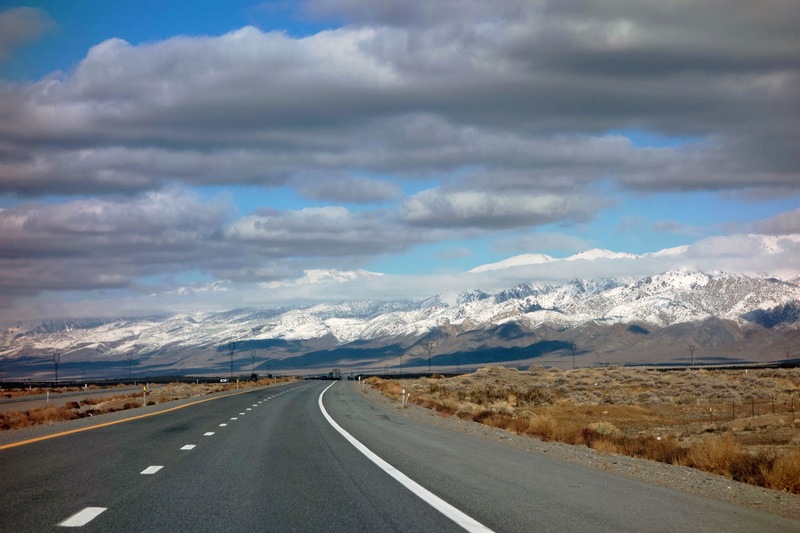 Interstate 80 through Nevada. There are so many mountain ranges here that I want to explore. Someday I will take the time to stay, and not just fly past. This truck stop has really, really terrible fountain soda. I think it's the well water. But it does have nice views. 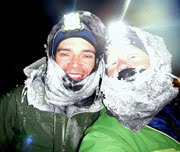 This photo is from the return drive. 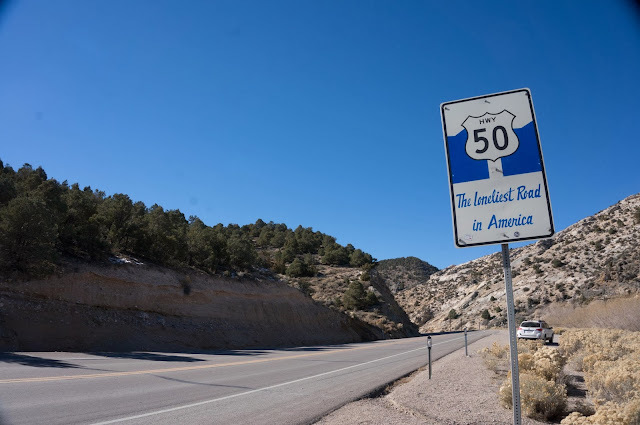 While gassing up in Wendover, I made a spontaneous decision to detour off I-80 and drive a highway that I've long wanted to travel — Highway 50, also known as the Lincoln Highway and "The Loneliest Highway." 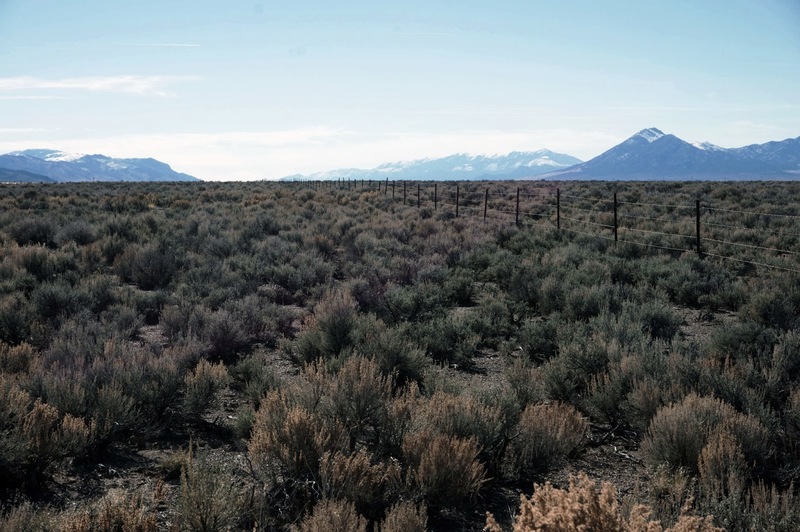 Towns along this road are all at least 100 miles apart, and there's little in between but sagebrush deserts and mysterious mountains. Highway 50 lived up to its moniker as the Loneliest Road. The small amount of traffic I encountered out there was almost disconcerting. I imagine if you traveled this highway in a bad snowstorm and something happened, there's a chance you wouldn't be found for many hours or even days. An overlook view during one of the short walks I took near a BLM area that advertised petroglyphs. I did not find the petroglyphs. Much of Highway 50 is above 6,000 feet. I thought it would be chilly, but temperatures were in the high 50s and even low 60s for most of the day. I *really* wished I could be out riding one of the four bikes I had in the car, but they were too deconstructed and tightly packed to justify a joyride. Also, I was (and still am) stiff and banged up from my bike crash, which I haven't recovered from as quickly as I expected. 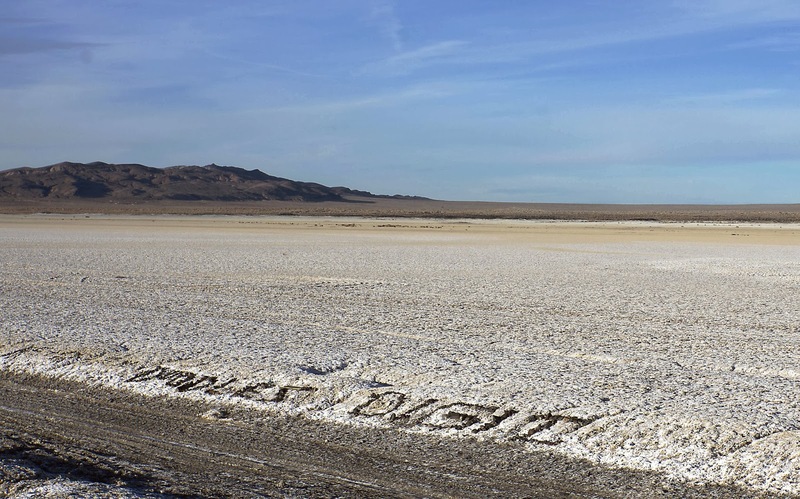 A salt flat near Fallon. 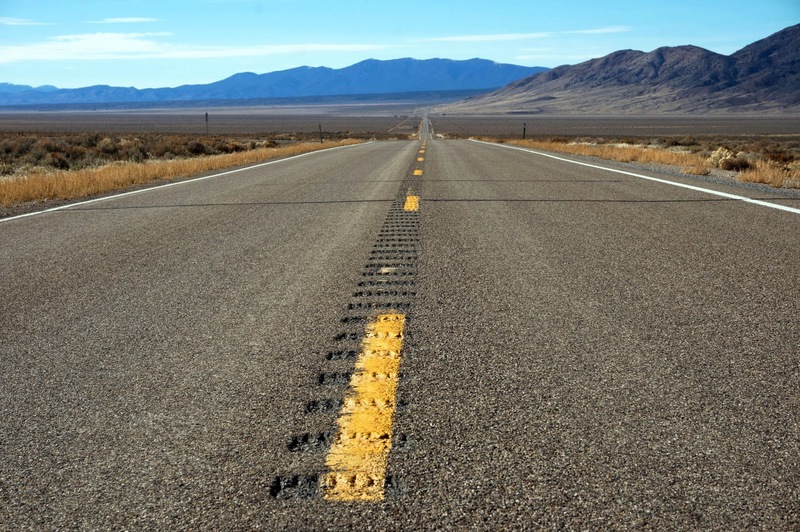 Someday I will plan a bicycle tour from California to Utah on these lonely roads. Ideally it would take place during one of these colder months, because otherwise I would have to carry *a lot* of water. Even on pavement it's a hundred miles between resupplies. My kind of space. What was the traffic like on 50? Did you pick it up straight off of 15 S out of SLC? Or did you take 6 first? Looks like a fun ride or road trip. Some traffic, but not much. I don't think I saw a single semi-truck. There were some pickups that looked like they belonged to hunters. I dropped down Alt 93 from Wendover, then drove as far as Fallon. 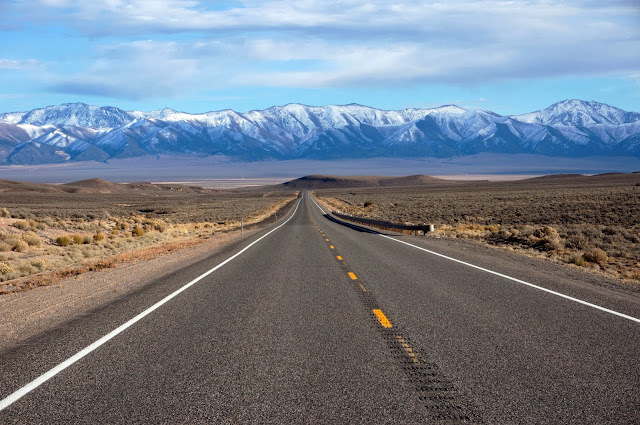 Next time I'd love to start from Highway 6 and go through Great Basin National Park. "Someday I will plan a bicycle tour from California to Utah on these lonely roads." That sounds like an outstanding idea! I drove Highway 50 a few years ago and was fascinated. I've always wanted to go back and explore those lonely mountain ranges along the way. I'll bet there is some beautiful country that few people see out there. I also met a guy in Cedar City while on a bike tour. He was headed up to 50 then across to California, and in August. Too hot for me. You've seen the Southwest and taken beautiful pictures, I try to put myself there in my mind and when I'm riding. I'm looking forward to doing some biking in New England. Have you ever been? I hope you heal quickly Jill and thank you for inspiring me to get out on my bike even when I don't really feel like it. I never regret it. I have TOTALLY contemplated a bike journey that would include highway 50. I wondered about it before Sierra and I ended up in Portland last month. Perhaps, with you leading the way, I will think about it again. Incredibly beautiful. You have a gift for capturing scenery in your pictures. Jenn, we should plan something! One-way bike trips always include extra logistics, but in this region I can likely work something out with family and friends if you and Sierra can fly in to SFO, out of SLC. 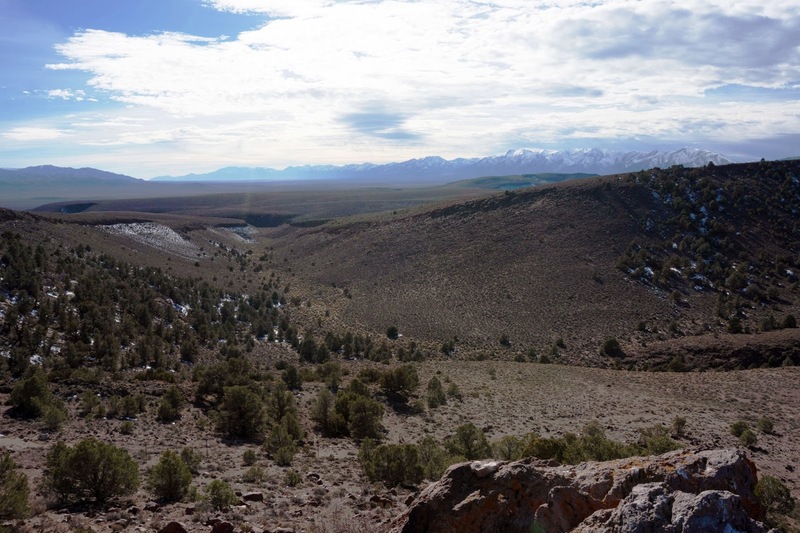 We could ride across Nevada from Carson City to Great Basin. It's 400 miles, a semi-relaxed trip could be 5 or 6 days. There are lots of small passes, but no huge climbs. I was thinking April or May would be ideal; I bet that region is beautiful in the spring. 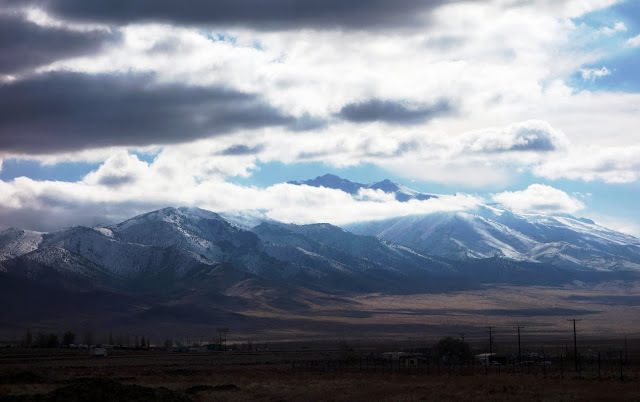 There is potential for cold weather at higher elevations that time of year, but that risk far outweighs the need to carry water for 100 miles in 90-degree temperatures. Think about it! technically I think it's considered basin and range. Someone else told me that. I love it up there. Lots of time to think on that drive. Referencing the "basin and range" comment, check out John McPhee's book of the same name if you haven't already. 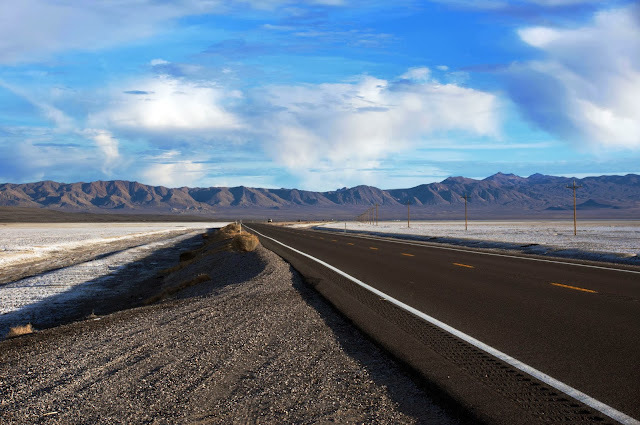 I live in SLC, but commuted to Tonopah, NV for 4 months (worked there Tues thru Thurs, drove home for the 4 day weekends) and absolutely love US Hwy 6 for its desolation and beauty. 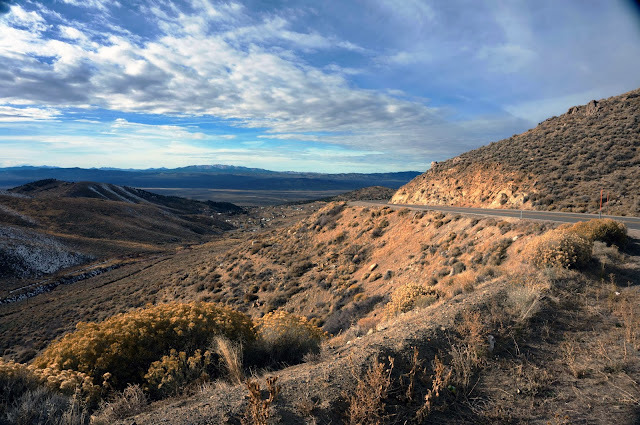 I also went south from Wendover: White Horse Pass is one of my favorite spots, and Ely, NV has a great little trail system west of town where I would take the dogs out to stretch our legs. Post March 2014 is when both Sierra and I will have vacation leave available again. I'll mention it to her - I'd be totally into a trip like this. And given the fact that I think I had mild heat exhaustion from a mere 25C easy-ride day in Santa Cruz this past May, I prefer the idea of cool (cold?) weather to baking in the heat.